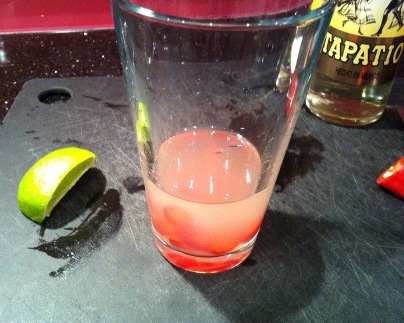 This spicy twist on a Margarita is great if you like a drink that tingles your tongue. 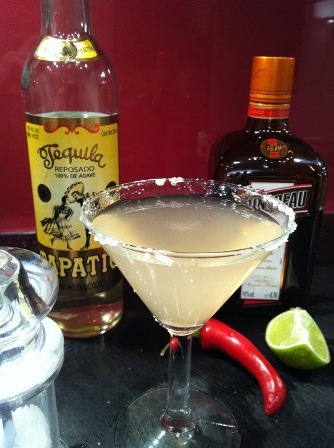 The Margarita Calor makes for a great Summer drink, especially when paired with spicy or grilled food. This is one drink that won’t be overpowered by food, it is refreshing and zingy at the same time. Lay out all of the ingredients. Chill down the Martini glass with ice and water. Chop the red chilli (from the tip) into four to eight small segments, depending on how much you enjoy spice. 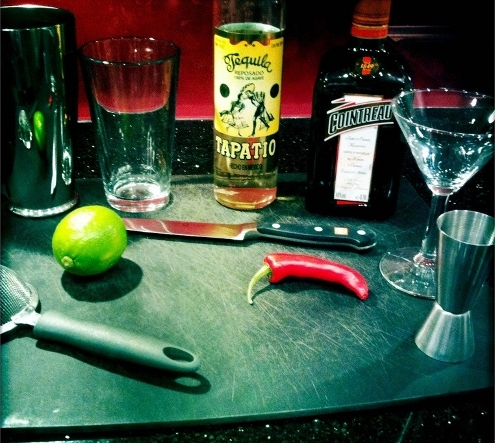 Add all of the ingredients into the glass half of the Boston Shaker and shake. Empty your now cold Martini glass, and give it a quick shake to get rid of any leftover water. Rub the wet rim of the Martini glass in salt, using the lime wedge as an adhesive. Separate the shaker, and strain using the Hawthorn strainer into the Boston glass. 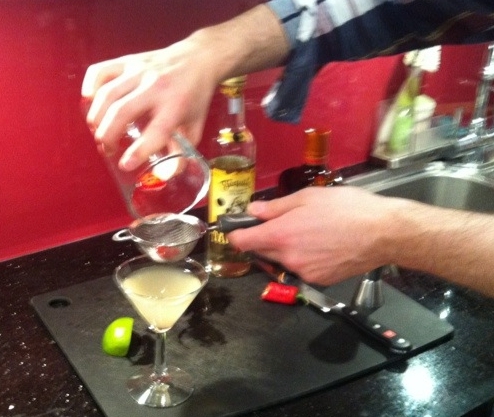 Then pour into the Martini glass through the tea strainer, to catch the chilli. Enjoy your Margarita Calor! 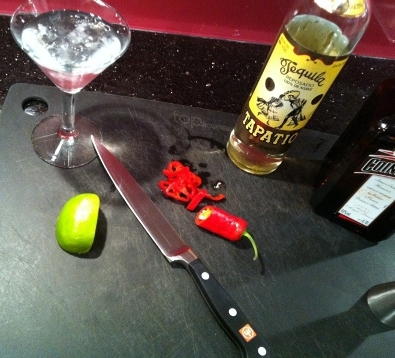 This cocktail is perfect with chilli chicken, fajitas or burritos.